There are no guarantees in life except death and taxes or that is what I have learnt so far in life, yet I can guarantee that the Lake District weather will be far from predictable. When visiting the Lakes every valley has its own micro climate and you can travel from one beauty spot with torrential rain like for instance Grasmere, only to arrive in Pooley Bridge to find sunshine and daffodils out in flower on the shores of Ullswater Lake. Weather in the Lake District can change rapidly and also altitude plays a big part in the Lake District weather, with snow more likely above 600 feet and with on average 67 days of snow falls on Helvellyn per year. The relatively low height of most Lakeland fells means that, while snow is expected during the winter, the fells can be free of snow at any time of the year. 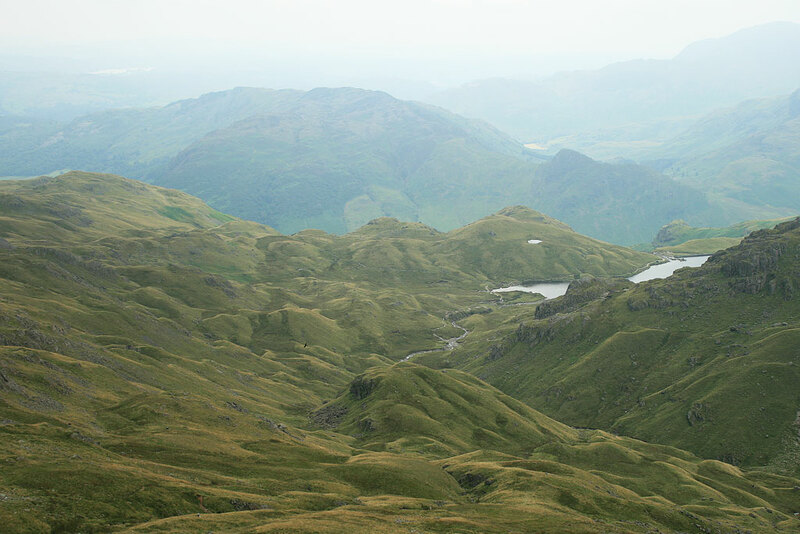 Summer or winter brings different risks for Lake District weather with hot days in the summer month’s requiring extra liquids to be carried and hot chocolate flasks being good for those cooler days. The Lake District weather does have a reputation for being wet and rightly so with over 2,000 mm average rainfall per year, making the Lakes the wettest part of England. This is due to its location on the Northwest coast of England and its mountainous geography. A good walk to see the contrasting different environments and Lake District weather, whilst passing through 3 of England’s National Parks is the Coast to Coast walk or cycle route. Lake District Weather – What Should I Pack? For visitors to the Lake District layers are by far the best recommendation. In the summer it can be cool in the evenings, and should you be on the water sailing or canoeing a good water proof jacket is invaluable. For walkers and walking the Lake District weather may throw up a multitude of differing climate conditions. I would strongly recommend a wind and waterproof jacket and over-trousers will make your walk a lot more comfortable. The temperature drops on average one degree for every 150 metres you ascend. Therefore even if it is relatively warm in a valley, it can be pretty chilly on top of a high ridge such as Helvellyn via striding edge, not forgetting the wind chill factor. You should always carry extra clothing such as spare socks, hats and gloves. Recently we had some light snow showers on the higher ground around Ullswater Lake over a two day period and then a quick thaw. 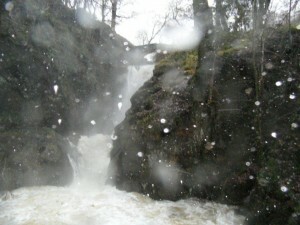 The video I have put upon this page shows you the difference I hope a few days of snow and a thaw can make to Aira Force waterfall which I posted here on the website in early spring. The volume of water cascading down Aira Beck is stunning and this is how quickly things can change here with the Lake District weather as within 24 hours the beck was back to its normal level and may even be totally frozen before the winter has turned to spring.